We offer 4hr, 6hr and 8hr fishing charters year round out of Biloxi, MS for up to 6 people. If you have any questions about our fishing charter service, please get in touch with Captain C-bo. *Bait, tackle, ice and fishing license included. Fuel price may fluctuate cost. Fishing for Sharks, Redfish, King Mackerel, Spanish Mackerel and Cobia. 12 to 25 miles out in the Gulf of Mexico. Fishing the wrecks and oilrigs off Biloxi, MS for Red Snapper, Cobia, King Mackerel, Spanish Mackerel, Black Tip Shark and Grouper. 30 to 50 miles out in the Gulf of Mexico. Our most popular fishing charter. 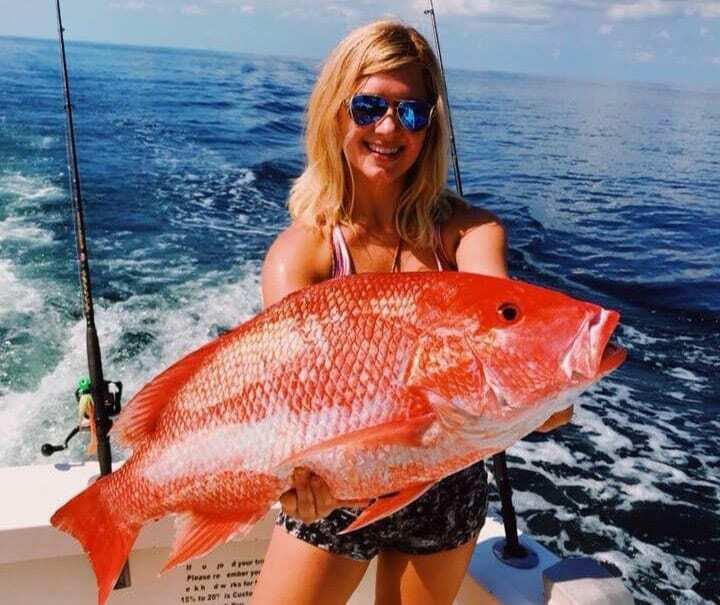 Red snapper fishing season is available from June 1 to Aug 1.